Although the Shrek movies have taken a bit of a downward tumble after the first outing my family still loves them to bits. There's something about them that you can't help but like and although they're coming to an end it's been a fun ride... mostly. Below is the first teaser trailer for the 4th major film in the franchise 'Forever After'. 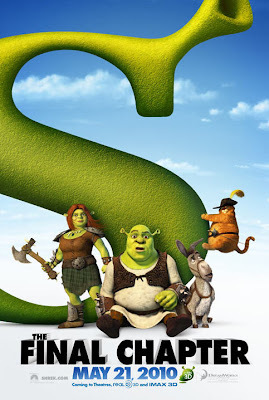 Shrek makes a deal with Rumplestiltskin which ends up with the world change drastically due to Shrek never having existed. Chaos of course ensues... Enjoy!